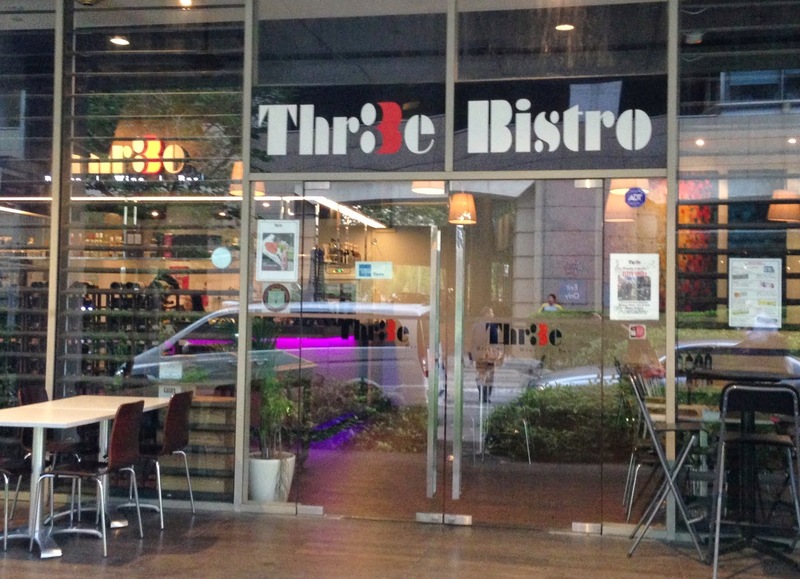 Conveniently located at Marina Square, Three Bistro is a modern restaurant, bar and wine space which offers a wide range of western fusion food ranging from salads, pizzas to hearty main courses and desserts. 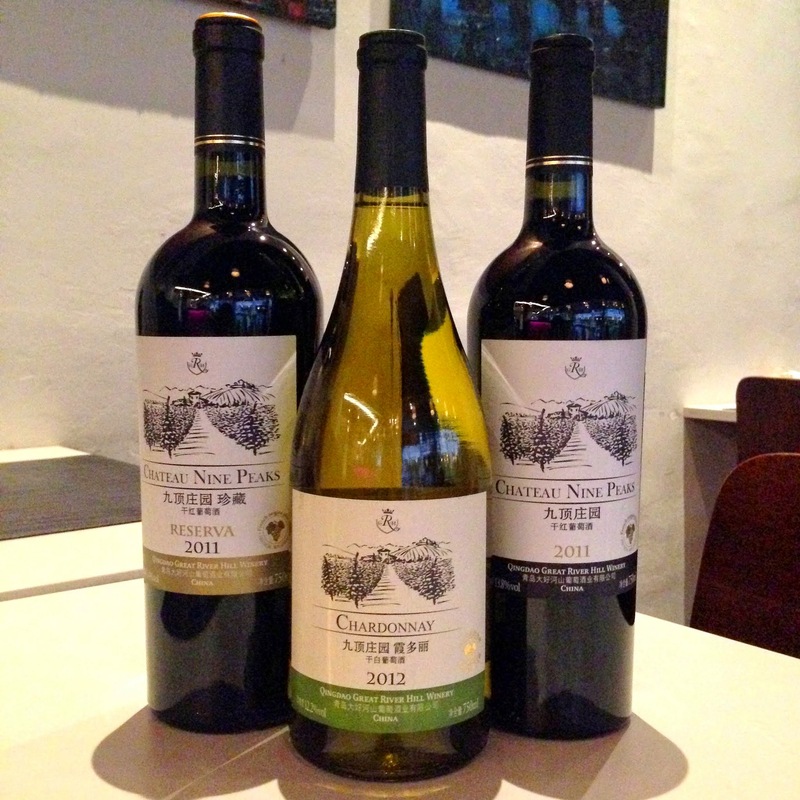 Wine lovers will be delighted to know that Three Bistro actually offers a good selection of wine that is rarely found elsewhere in Singapore. Take for example these three bottles of wine below. Notice the Chinese letters on the bottle? They are, in fact, French wine that are harvested and brewed in China. One of them has even clinched an award at the Hong Kong International Wine Tasting Competition! Our dinner started rolling with some warm comforting soups. 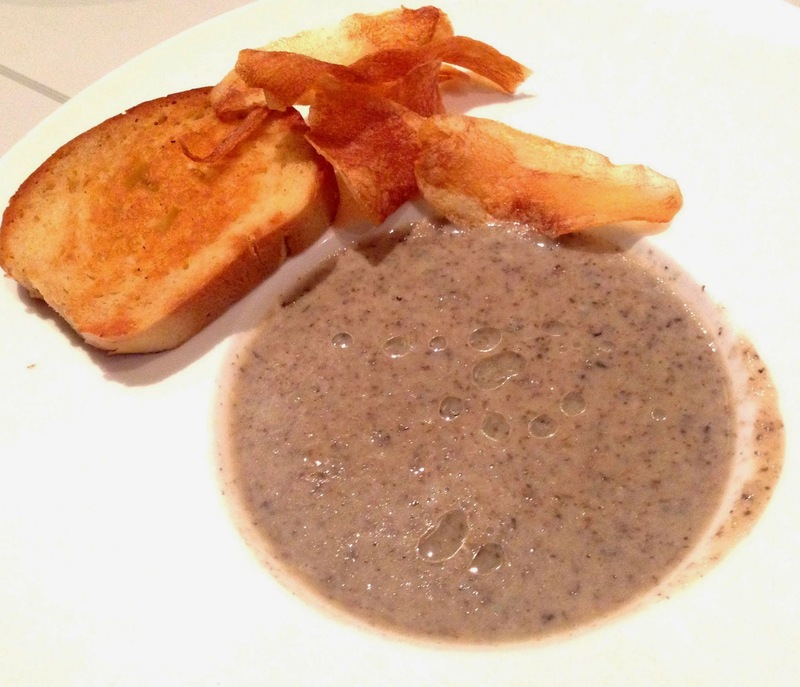 Those who love truffle oil would love this rendition of Mushroom Soup ($6) as the chef is rather generous with the serving. However, a drizzle of truffle oil might just suffice as it overpowered the mushroom flavour. 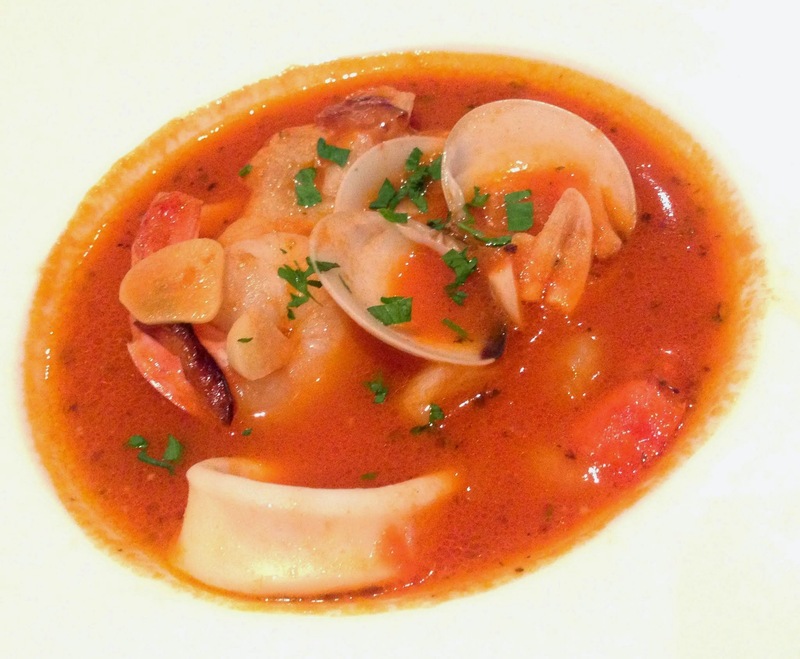 This Seafood Soup ($8) resembled a fishermen’s stew with plenty of fresh fish, squid, in a perfect backdrop of sweet and sour tomato base that would rally up anyone's spirits on a rainy day. 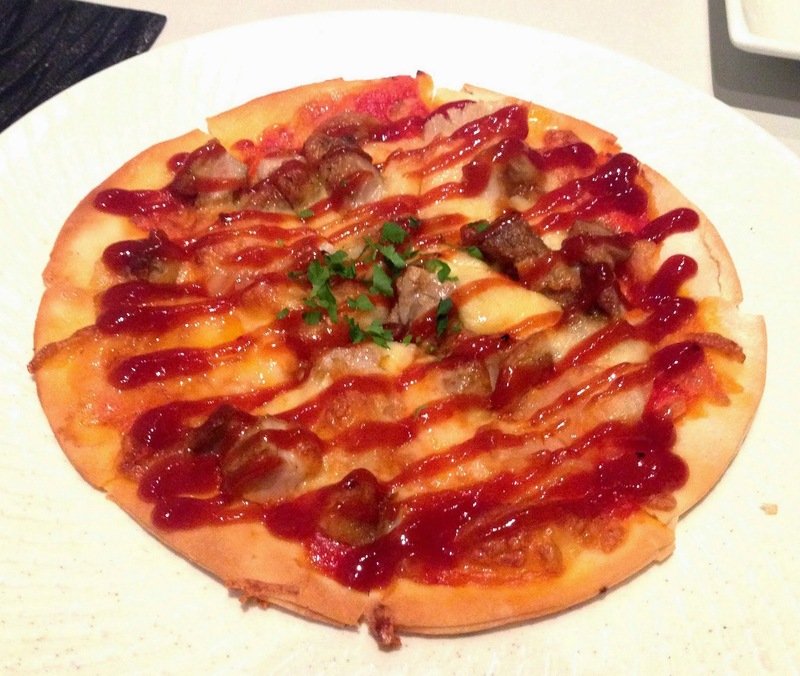 The pizza base is gratifyingly crisp and the combination of chicken, pineapples and bbq sauce in this BBQ Chicken Pizza ($10.50) sounded like a Hawaiian dream come true. And this dream would realize in reality if fresh honest ingredients were used and a little more effort were channeled to craft the dough. The Pan Seared Salmon with Tofu ($12) left me in confusion because the components seemed to be isolated from one another. 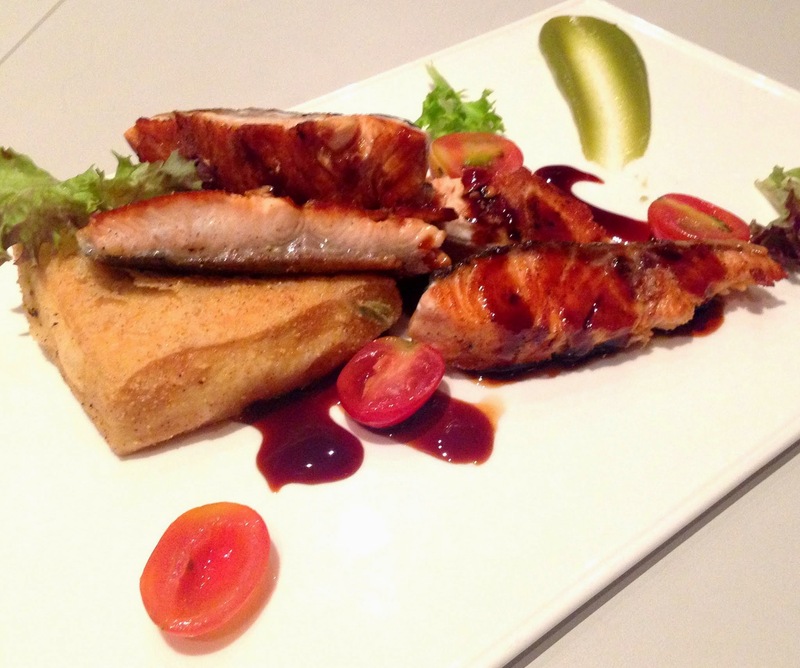 The pan-seared salmon in teriyaki sauce and the deep fried golden tofu were tasty on their own but there was just too little chemistry between the two, as well as the green smear of sweet wasabi custard, to inspire any beautiful love story. 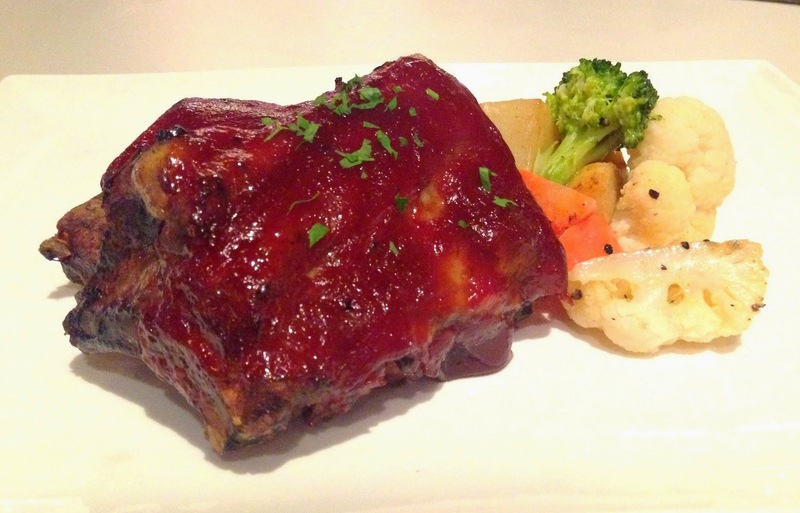 Arriving in two hunky slabs, the Baby Back Ribs ($23) definitely got me salivating over the tantalizing looking BBQ sauce. I would love to have basked in the porky glory if the flavour had penetrated through the meat. They were overdone, resulting in an arduous task of chowing through the meat. Some chefs do it the crisp way; some chefs do the traditional braised way. 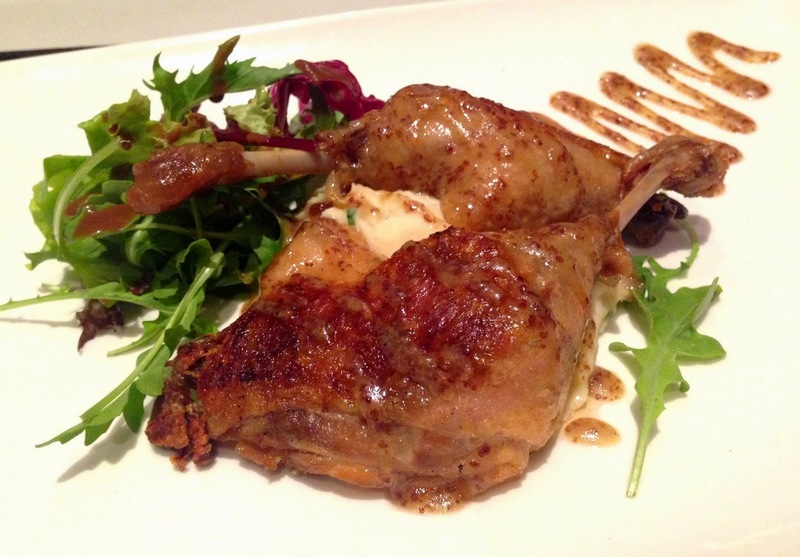 Like it or not, the Duck Confit ($25) here belonged to the classic camp where the skin is soft and supple. The meat was fairly tender but could have retained more moisture. This would have been a good interpretation of a classic confit if the dry mash potato hadn't been "modernized" by the truffle oil. 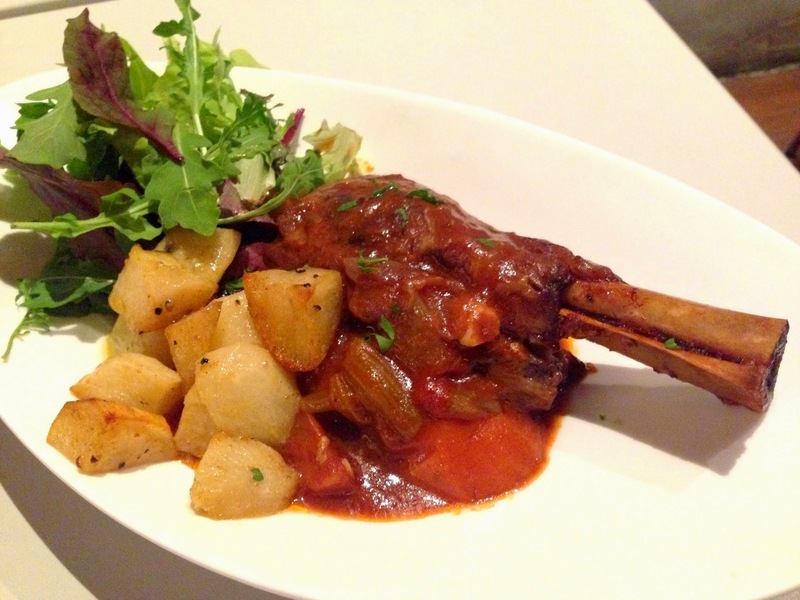 Some people might find this Lamb Shank ($27) slightly gamey but I thought the meat was a good sign of long braising, boasting of the lovely silky, almost sticky texture. The side vegetables such as carrots and onions were also cooked down to a pleasant sweet mash. Perhaps a little touch of herbs and spice would do the trick to coax out the nuances of this dish. Perhaps due to the choice of using oven-baked technique, the skin of the Codfish ($27) remained chewy, a pity because the great storage of fats could have been harnessed to produce an aromatic crisp fish. Nonetheless, it was a very healthy dish that is extremely light on seasoning, slightly too light to register on the palates of an average man. The cream of anchovy was also absent that day. That said, this is pretty ideal for ladies who are watching their diet. 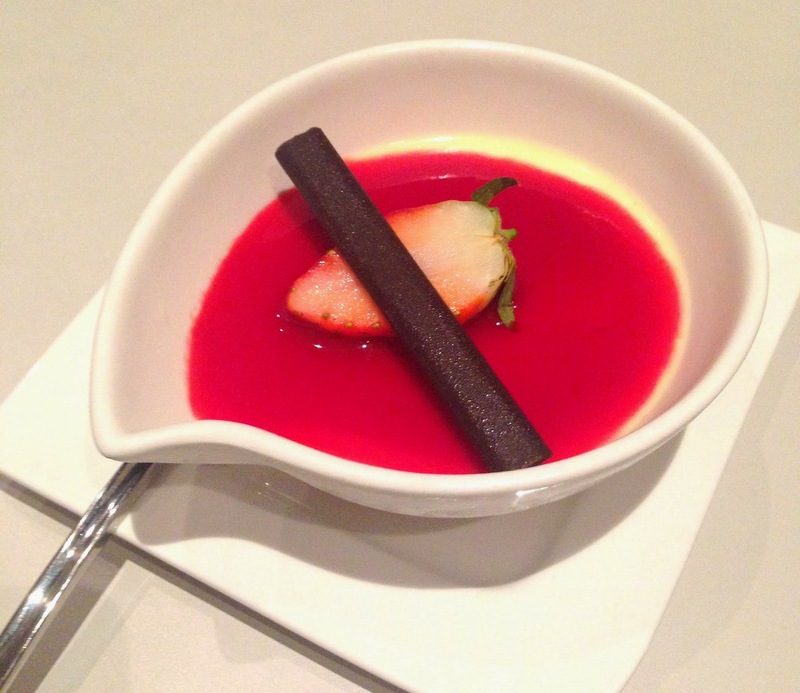 Back to the desserts, the Panna Cotta ($5.50) has a unique consistency of a milk jelly pudding and the sugar content is well regulated. 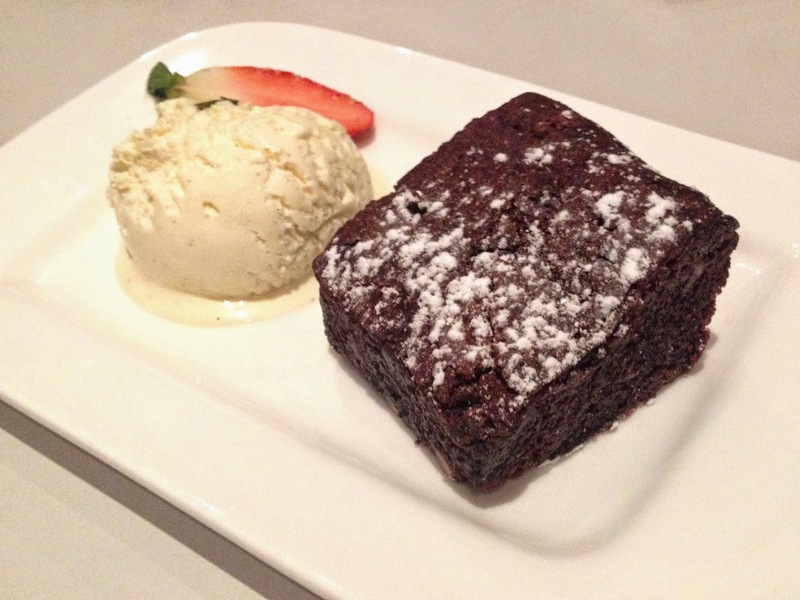 Meanwhile, the Chocolate Brownie ($6.50) also made quick entrance, albeit at the mercy of the delicate ice cream that was melting in mid-way. This brownie might not be out-of-the-world delicious, but efforts still have to be credited to the chef who made this instead of outsourcing to external bakeries. It had a dense, nutty texture, which would be elevated to a next level if served warm. Currently, the concept of the food at Three Bistro appears inherently fuzzy to me, though I sincerely appreciate the effort that goes into styling up some dishes here. 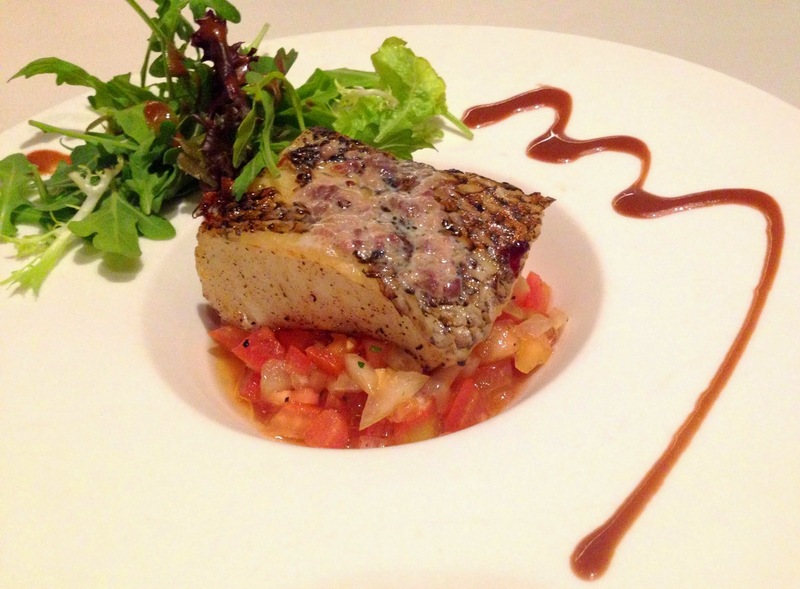 If more energy is directed towards the balance of flavours and textures in each dish, I think Three Bistro would stand out as one of the quality all-day dining and chill-out spots in the CBD district. Live band music performance is also available during the evenings from 730pm go 1030pm on Wednesday, Friday and Saturday.